The United States is "deeply concerned" about an Egyptian court decision to seek the death penalty for former President Mohamed Mursi, a State Department official said on Sunday. 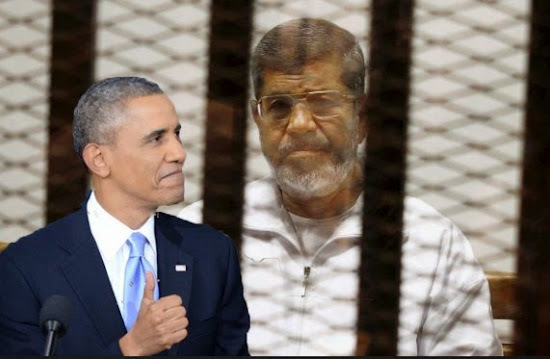 The U.S. criticism follows condemnations from Amnesty International and Turkish President Tayyip Erdogan after the court ruling on Saturday against the deposed president and 106 supporters of his Muslim Brotherhood in connection with a mass jail break in 2011. The ruling against Mursi is not final until June 2. All capital sentences are referred to Egypt's top religious authority, the Grand Mufti, for a non-binding opinion, and are also subject to legal appeal. Mursi and his fellow defendants were convicted on charges of killing and kidnapping policemen, attacking police facilities and breaking out of jail during the uprising. Mursi, who became Egypt’s first freely elected president in 2012 after the ouster of President Hosni Mubarak in a popular uprising, has said the court is not legitimate, describing proceedings against him as part of a coup by former army chief Abdel Fattah al-Sisi in 2013. Despite U.S. lawmakers' concerns about that Egypt is lagging on democratic reforms, Egypt remains one of Washington's closest security allies in the region. Relations cooled after Mursi was overthrown by the military nearly two years ago, but ties with Sisi, his successor, have steadily improved.